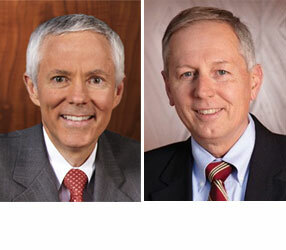 Gary Paul and Larry Smith were selected by their peers for inclusion in the Best Lawyers in America 2015 (Copyright 2014 by Woodward/White, Inc., of Aiken, SC). Gary has been selected in the areas of Appellate Practice and Insurance Law. Larry has been selected in Personal Injury Litigation – Defense and Insurance Law. Larry was the “Lawyer of the Year” in the practice area of Insurance Law; only a single lawyer in each practice area in each community is being honored as the “Lawyer of the Year”.